Reunited punk act Penetration are playing in Newcastle this weekend. As veteran North-East punk band Penetration prepare to play one of a series of shows to promote their first album for 36 years, we look at five other mammoth gaps between LPs. The County Durham group’s third album, Resolution, a follow-up to 1979’s Coming Up for Air, a No 36 hit, was released in October last year, and they will be playing at the Cluny in Newcastle on Saturday, April 9, to plug it. Iggy Pop, alias James Osterberg, is currently celebrating his biggest-ever UK hit at the age of 68 after Post Pop Depression, his 17th solo LP, reached No 5 over here. • 34 years: It took influential US rockers the Stooges until 2007 to release a sequel to the 1973 classic Raw Power, a No 41 hit. Coincidentally, Penetration took their name from a track on Raw Power, the third album by Iggy Pop and his bandmates. 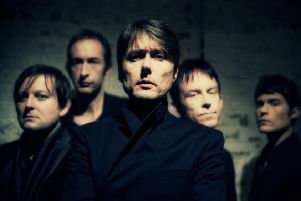 Their fourth LP, The Weirdness, was a No 81 hit, and their fifth and most recent, Ready to Die, followed surprisingly soon afterwards, reaching No 77 in 2013. Pop, 69 later this month, is back in the charts now with Post Pop Depression, a No 5 hit following its release last month, his highest-ever chart placing over here, and still at No 32. • 32 years: US rockers the New York Dolls, together from 1971 to 1977 and since 2004, took their time to follow up 1974’s Too Much Too Soon. Fans of theirs had to wait until 2006 for their fifth album, One Day it Will Please Us to Remember Even This. Guest artists featured on the album included Stooges frontman Iggy Pop, along with former REM singer Michael Stipe. Neither album charted in the UK. • 28 years: US rock veterans the Eagles once vowed not to reform until Hell freezes over after splitting up in 1980, but they ended up getting back together just 14 years later. Their seventh album, 2007’s chart-topping Long Road Out of Eden, followed 13 years after that and 28 years after its predecessor, 1979’s The Long Run, a No 4. • 23 years: Rolling Stones guitarist Keith Richards released his third solo album, Crosseyed Heart, in September, almost a quarter of a century after its predecessor. The No 7 hit was the 72-year-old’s follow-up to 1992’s Main Offender, a No 45 hit released only four years after his solo debut, Talk is Cheap, a No 37. • 15 years: The decade and a half it took Guns N’ Roses to finish their sixth album, 2008’s Chinese Democracy, is often cited as a classic example of tardiness despite paling in comparison to our four other lengthy lulls between LPs. Chinese Democracy was a No 2 hit for the US rockers, like its predecessor, 1993’s The Spaghetti Incident?